The typical surface mine (quarry) has lots of specialized equipment, and each piece has a name that new miners may not be familiar with. To help you get up to speed fast, we’ve provided a list of common surface mining equipment, along with images and explanations of the equipment’s function and operation. Not only did we write all the terms down for you below, but we’re also presenting the same information in an interactive, multimedia glossary that you can download for free. And we through in some tips if you need some MSHA Part 46 Surface Mining training. What’s not to like about all of that? All of the terms, definitions, and images in this article come from our online MSHA Part 46 “Typical Equipment in a Surface Mine” training course. We’ve included a short sample of that online mining safety course below. 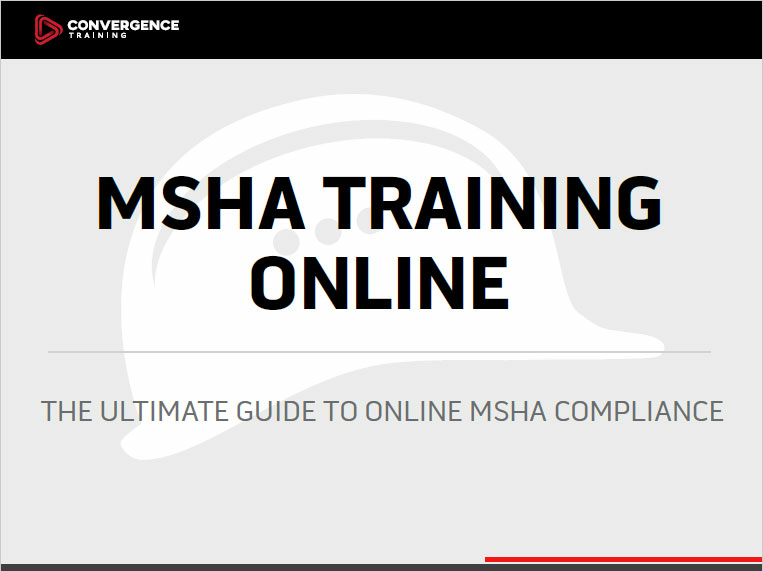 Convergence Training are MSHA & mining safety training experts. Explore the links below to learn more about how we can help you. We’ve got eight terms related to surface mines listed for you below. Please use the comments section below if you can think of others that new surface miners should know. Either track-mounted or tire-mounted, backhoes are a type of excavator equipped with a bucket that faces toward itself. The typical backhoe design incorporates an inward-facing bucket affixed to an articulated arm, or “boom.” Backhoes are often used for removing and loading overburden as well as scraping down high banks and digging ditches. Bins, hoppers, and feeders are types of equipment used to help regulate the flow of material through the mining process. 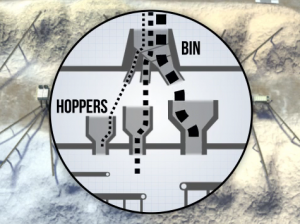 Bins and hoppers are containers with open tops for material to enter and an opening at the bottom for material to exit, typically over a conveyor or feeder. They are filled from the top by a loader or conveyor and discharge material at a continuous rate through the opening at the bottom for distribution to other processing and sorting operations. 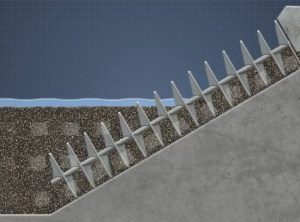 Feeders transport material a short distance at a consistent rate using conveyor belts or screw conveyors. Feeders may also have an integrated breaker mechanism used to reduce material size as needed for the next processing stage. Other physical elements of a mine include structures relevant to operational oversight and equipment maintenance. Management offices, workshops, storage, refueling, and power generation may all be located on-site. In some cases, a control tower may also be constructed to offer a complete view of processing operations. 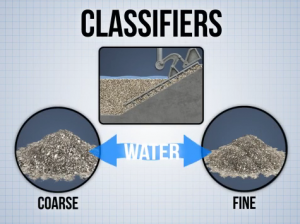 Classifiers are a type of sorting system used to separate coarse and fine particles from one another using water. They are typically located downstream of crushers and screens. Some of the most common types of classifiers are spiral and rake classifiers. Both of these classifiers separate material by dragging the material along the bottom of an inclined surface in a settling chamber from the bottom (inlet) to the top (discharge). Cone crushers are typically used in downstream crushing operations for medium-sized materials. Like the jaw crusher, the material is fed into the cone crusher from the top and discharged at the bottom. 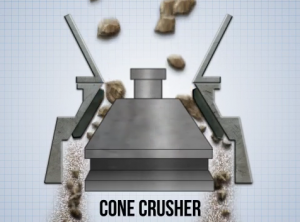 As the material enters the crusher, an eccentrically rotating cone forces the materials against a crushing plate. The shape and movement of the cone progressively reduces the size of material as it moves down through the crushing chamber to the sizing gap above the discharge opening. 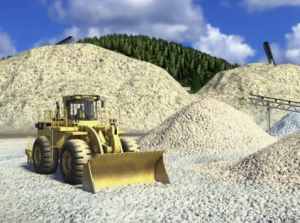 Resized material may be further sorted and transported to stockpiles or other processing operations. Cranes are a type of lifting equipment typically used to lift, place, and transport heavy items such as equipment, building materials, and mined material over short distances. Although some cranes can be stationary, many are mobile units that may be tire-mounted, track-mounted, or truck- mounted. Bulldozers, often referred to as “dozers,” are track-mounted vehicles equipped with a wide, vertical front-mounted pusher blade that can be raised and lowered during operation. 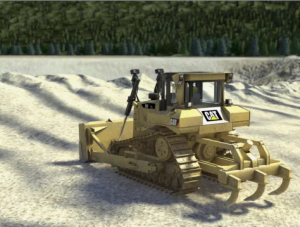 Heavy, powerful, and extremely stable, dozers are typically used to clear land, push material short distances, do grade work, and manage stockpiles and work areas. 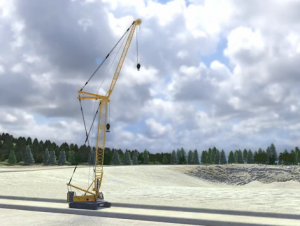 Draglines, a type of specialized excavation equipment, operate by casting a heavy cable-hung bucket outward from a crane-like boom and dragging the bucket toward itself to remove large amounts of overburden, load ore, and manage stockpiles. 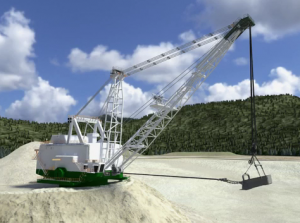 Draglines can be equipped with buckets of specific design and weight to match the materials being mined. Dredges are a type of excavation equipment used to remove material from underwater. 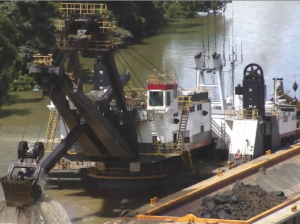 They can be land-based or barge-mounted and may employ powerful suction or physical digging methods to bring material to the surface for removal or processing. Front-end loaders, or simply “loaders,” are large, typically tire-mounted vehicles with a deep, wide bucket mounted at the front. Loaders are used to load mined material into haul trucks and feeders, push or dump overburden, and manage stockpile or refuse areas. In sand and gravel operations, loaders may also be used for excavation. 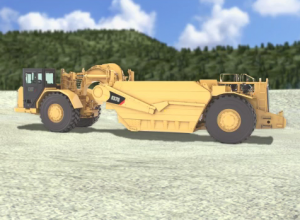 Surface mines require the constant operation of heavy equipment consuming large volumes of liquid fuel. Since much of this equipment is not designed to be driven on conventional roadways, refueling must be done on-site making fuel tanks and pumps a necessity. 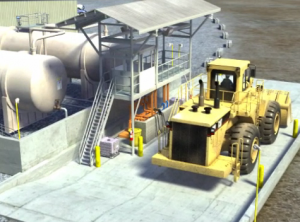 Tanks may be above or below ground and can range in size from 500 to many thousands of gallons. 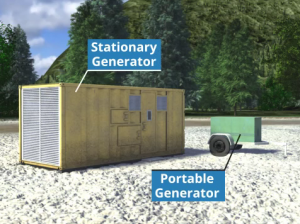 Both stationary and portable electrical generators commonly serve a wide range of power needs at a mine. 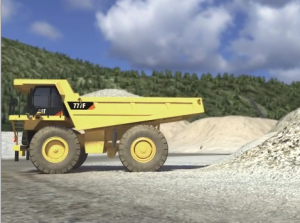 Haul trucks, or “haulers,” are tire-mounted vehicles with a deep, wide hydraulically operated dump bed commonly used to transport and place large volumes of mined material from the pit to stockpiles. Active mining operations are often spread across a large area, making walking to distant locations impractical and potentially dangerous. Miners, contractors, and supervisors often need to move quickly between work areas to do their jobs, perform maintenance, and address issues as they arise. 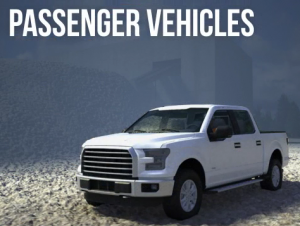 A broad range of common passenger vehicles and pickup trucks may share haulage roads to transport people, tools, and small equipment where they are needed. Belt conveyors are designed to carry bulk material on a wide belt that rotates around two or more pulleys. At least one of the pulleys are driven by a motor that powers the conveyor system. In-pit belt conveyors are used to move material within a large, active mining pit area or from the pit to loading areas for further distribution within the mine. 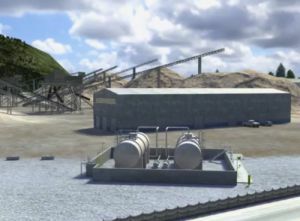 In-pit conveyors may also move mined material to portable crushing systems that reduce the size of larger rocks or minerals for easier transport. 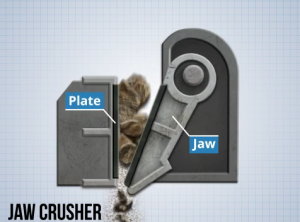 Jaw crushers are often used early in the production process to prepare material for processing. Raw mined material enters the top of the machine where a moveable “jaw” opens and closes repeatedly to break the material against a fixed stationary plate. When the material has been reduced to a size small enough to pass through the opening below the jaws, it exits the crusher and may be further sorted for stockpiling or downstream processing. A range of mobile and stationary equipment may be in constant use at a mine, requiring dedicated space for maintenance, repair, parking, and vehicle storage. 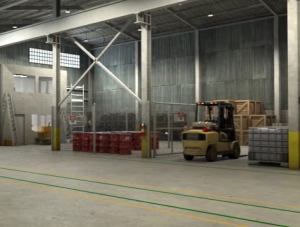 Most mines will have a maintenance and repair shop onsite to store replacement parts, supplies, tools, and other specialized machinery while providing sufficient space to maintain and repair equipment. 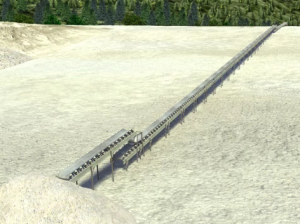 Overland belt conveyors are used on mine sites where there is the need for continuous movement of high volumes of material over long distances, in some cases, several miles. This type of bulk material handling conveyor may be used to transport material from the pit to processing areas or loading areas for rail or barge transport. Scrapers are a type of earthmoving machine with an open, centrally mounted hopper or bowl with a blade-like leading edge that can be raised or lowered hydraulically to selectively remove and spread overburden over level or relatively level terrain. 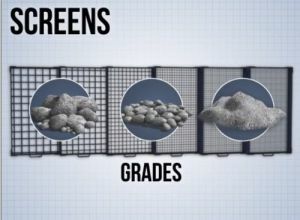 Screens are a type of equipment used to separate particles into various sizes or “grades.” In some cases, screens may also be used to differentiate between the wanted and unwanted materials. Shovels, sometimes called “power shovels,” are versatile excavation machines, often track-mounted, with a large, outward-facing bucket at the end of a powerful, articulated boom that can rotate 360 degrees. Shovels are used primarily to dig out and remove overburden as well as selectively load material for transport. 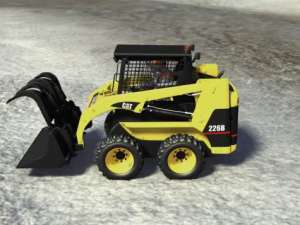 Often tire-mounted, skid steers are quick, compact, highly maneuverable, and extremely versatile machines which perform a broad range of vital duties throughout the mine. They may be used in excavation work to carry, spread, and load loose material as well as serve an array of grading, site preparation, construction, demolition, and repair functions. 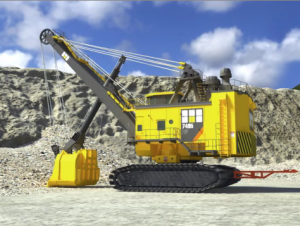 Stationary equipment at a surface mine typically performs hauling, processing, and other service functions. Structures provide offices, storage, and maintenance spaces. See images of stationary equipment throughout this article. 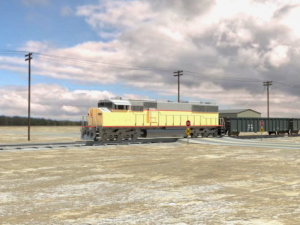 Track haulage involves the loading and management of specially designed railroad cars to transport enormous volumes of overburden or mined material to other areas of the mine or off-site to distant locations. 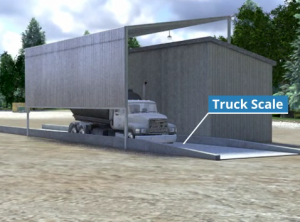 Truck and wheel washes are specialized areas or automated systems designed to remove obstructive dirt and mud buildup as well as dust and potentially hazardous particulates from mining equipment. While a truck wash may serve to wash large vehicles, wheel washes are generally simple, drive-through baths along a drive path. Since mining operations exist for the purpose of selling extracted and processed commodities, industrial truck scales are put in place to keep track of transported material volumes. 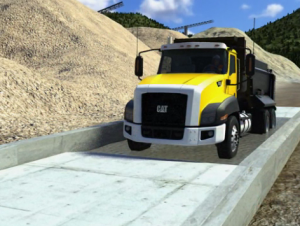 Truck scales are normally situated on drive paths close to where over-the-road trucks exit the mine carrying processed material to customers. 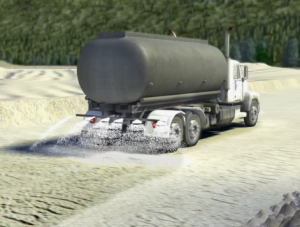 Water trucks are tanker trucks used to help suppress dust and other airborne particulate hazards by spraying water on haul roads, access roads, and common work areas. 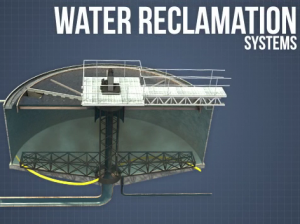 Water reclamation systems remove fine sediments and return a high percentage of the used water back into the mining process. 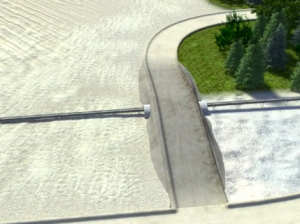 These systems may involve large settling tanks, mud presses, storm water discharge areas, and extensive piping and pumps to reduce runoff, manage environmental impact, and conserve resources. Need MSHA Part 46 and/or Surface Mining Safety Training? Were you reading this article because you need help with MSHA Part 46 training? With online courses, an online training management system for MSHA Part 46 documentation and other purposes, or both? We offer it in multiple formats–streaming subscription, streaming pay-per-view, DVD, and USB. This includes courses for New Task training but also the management system for training documentation, training plan creation, and more. If you liked this article, you might really like what we’ve got for you behind the link below. We’ve taken these terms and definitions and have put them together in a multimedia, interactive surface mining equipment glossary. It’s cool, and there’s even a way for you to download the interactive glossary for free. Go check it out. 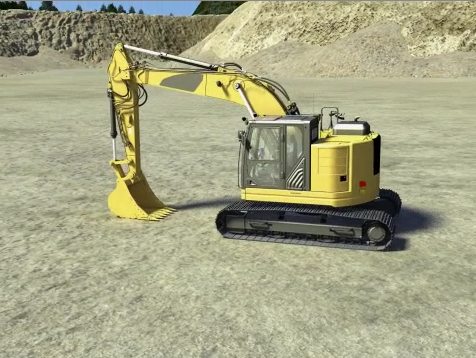 Knowing the equipment at a surface mine will help you know what’s what and get the job done. Especially if you’re a brand new worker or a contractor who’s been hired to work at a mine site. So we hope you found some value in this article. And of course we’ve got the free guide to MHSA Training Online for you below as well.